I got a wild hair this morning (get it?!) and decided to throw together a set of braided female hair for HeroMachine 3. A few are from the current Female Standard set, but where possible even there I broke them up a bit. 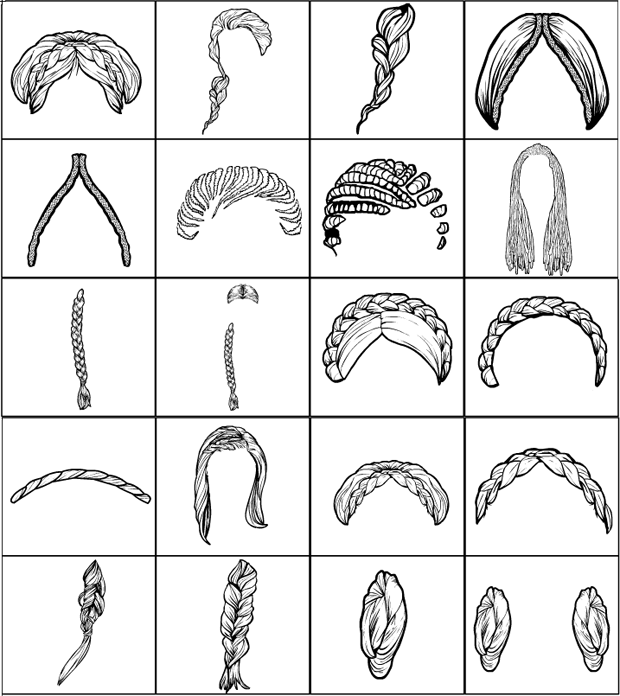 If you can find examples of other braids you'd like to see, now's the time to speak up or forever hold your split ends. Great job! Love new items!!! Cool! Any chance we can get some more beard braids as well? You should take a shot at a beehive haha, im sure there are a couple ideas people could use it for. Hey Ian something like this? I’ll get with Isia, she has been wanting new female hair items. I think it’d be kinda cool to have some smaller braids separated that you can spread out to look like they’re flowing in the wind or something, like a separated version of the last one in the 2nd row. ive tried using a couple of the single braids that are there already but it looked kinda off. I like the new hair! Oh, most excellent. Leia buns! Cool, love the new looks! Oooooooo…HeroMachine Hairitage Day! Excellent hairs! Can’t find the new items. What category are they in under hair? @ Andrea (19) They are in Hair-FemaleBraids. If they are not showing up try refreshing your web page. If that doesn’t work you may have to clear your cache. I think you’ve oficially made my day Jeff. Hmmm… a GOOD hair day, for once! This should make some old-fashioned hairstyles (e.g. medieval, Greco-Roman, Vicforian, etc.) much easier. Thanks!